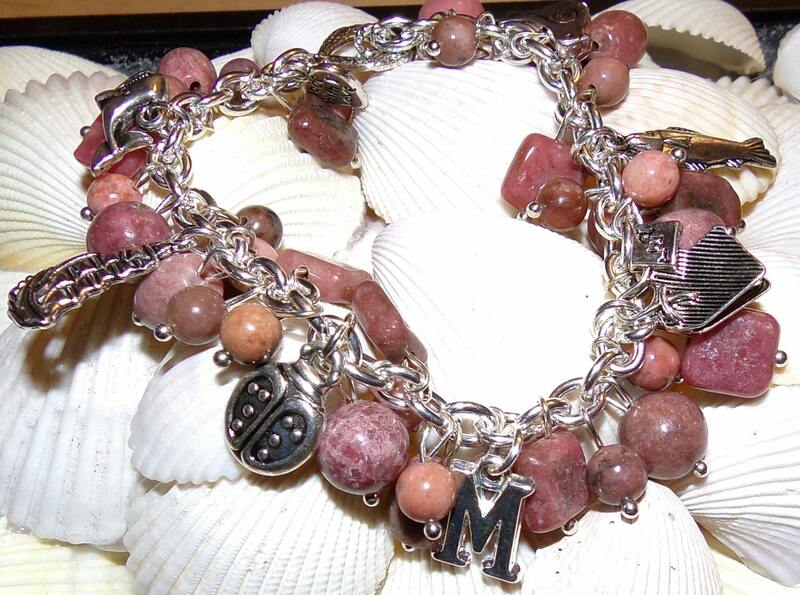 This bracelet is the perfect gif for anyone that loves Massachusetts. 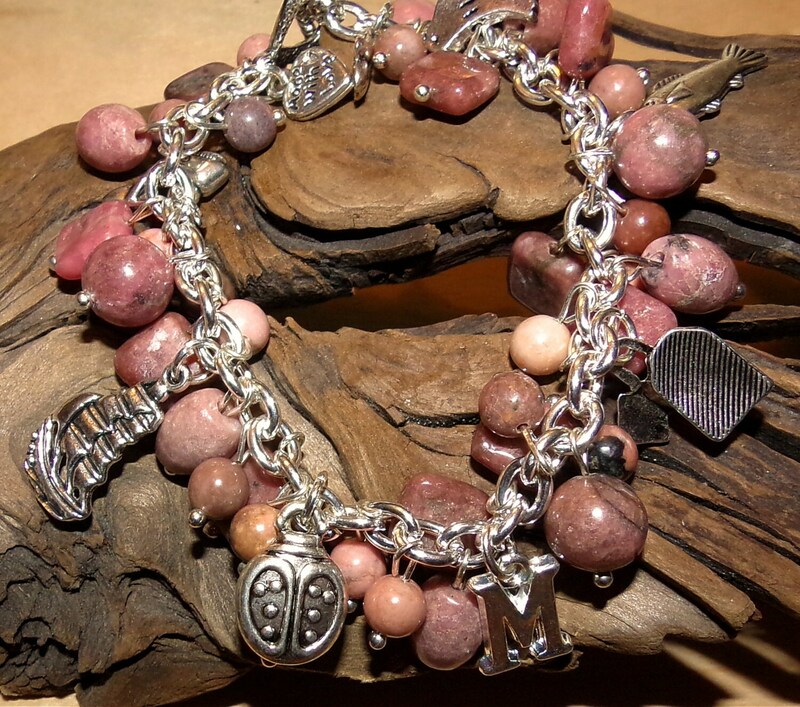 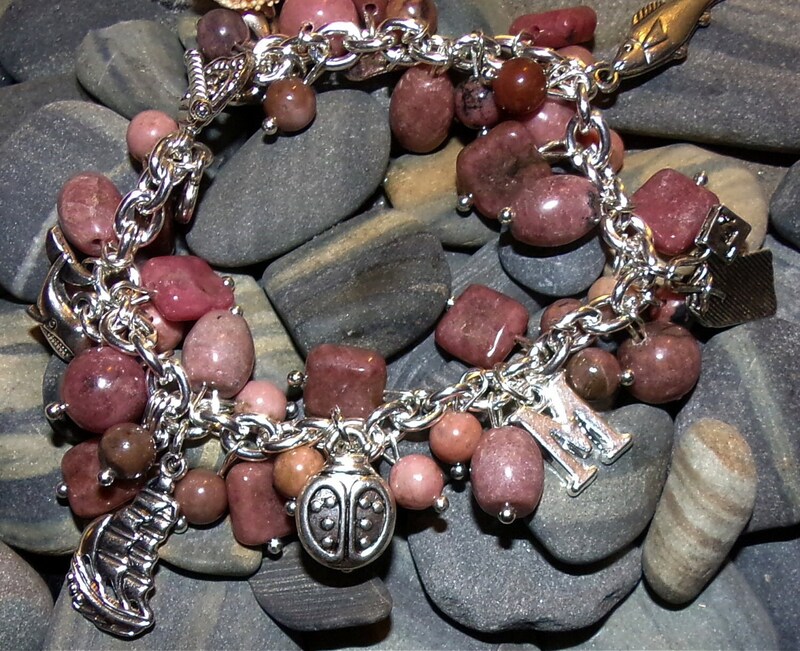 It is made with Massachusetts' Gemstone Rhodonite . 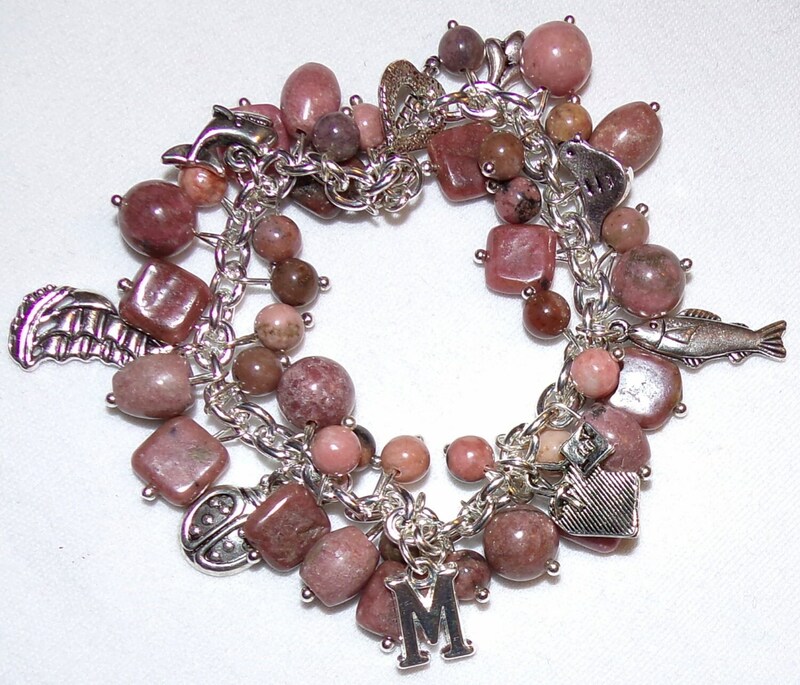 The charms include M, Whale, Ship, Ladybug, Chickadee, Tea & Cod.